Something to be pleased about: This mesmerizing bestseller is revised and updated. Originally published 25 years in the past (pleased anniversary!) 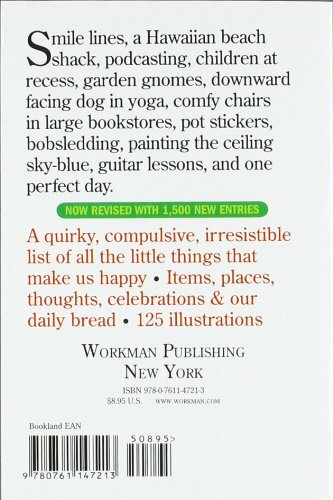 from a list that Barbara Ann Kipfer started out making as a youngster, it’s the book that marries obsession with happiness. And it now has two,000 fresh and more existing factors to be content:Rabbit tracks in the snow. Kiteboarding and kitesurfing. Caramel gelato.Scoring super-large on a Scrabble turn. Babies burping. Summertime storms. White cupcakes with multicolored sprinkles. Big red barns. twenty minutes all to your self.No opinions, no explanations, no asides, no footnotes, editorializing, or proselytizing. 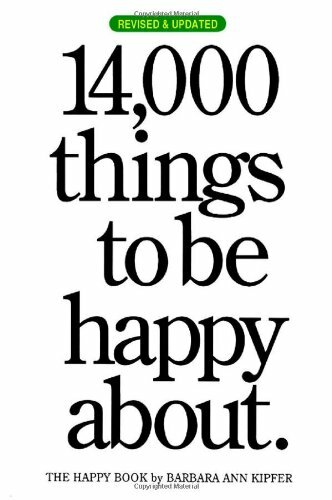 Just the basic premise of a checklist of issues that make us smile. 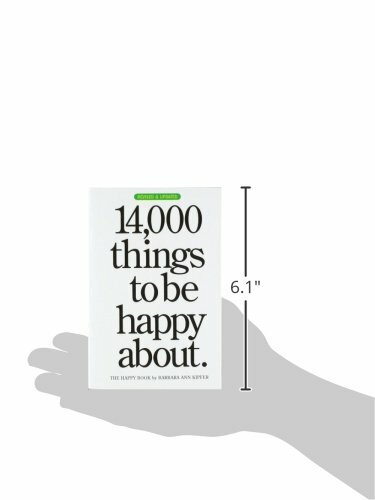 With its chunky shape, striking black-and-white cover, and one hundred whimsical illustrations by Pierre Le-Tan, the new 14,000 Factors is an irresistible catalog of great thoughts entirely up to date to reflect today’s world—and an uplifting present for men and women of all moods and all ages.